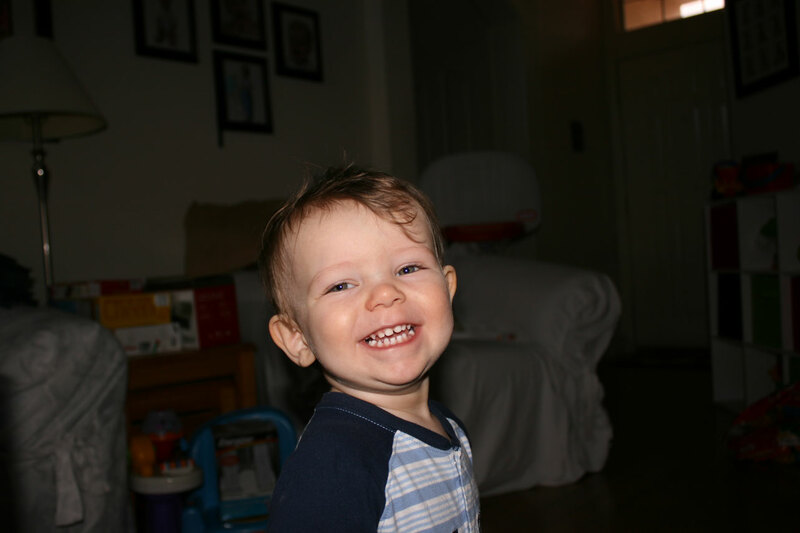 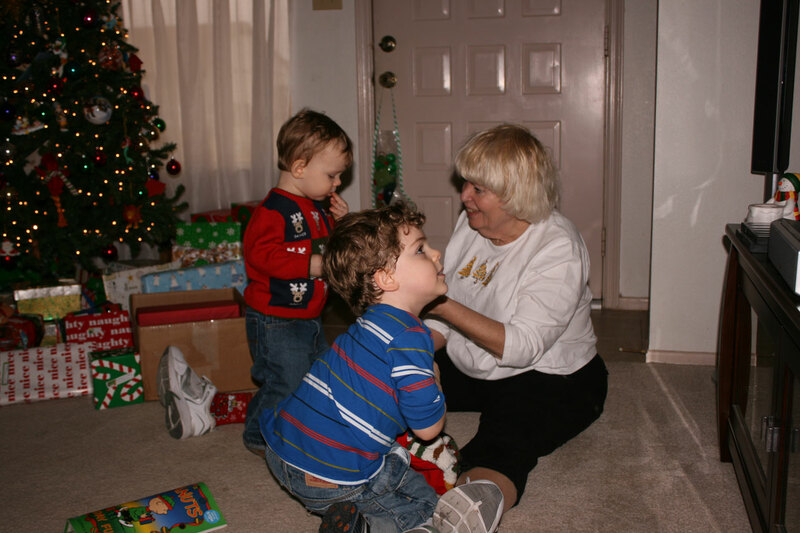 Below are pictures of Mark and Andrew between December 25 and 26 along with Nana, Uncle Kevin, Penny, Kelly, Cindy, Nana, Papa, Gram Gram, and John; Includes Christmas pictures. 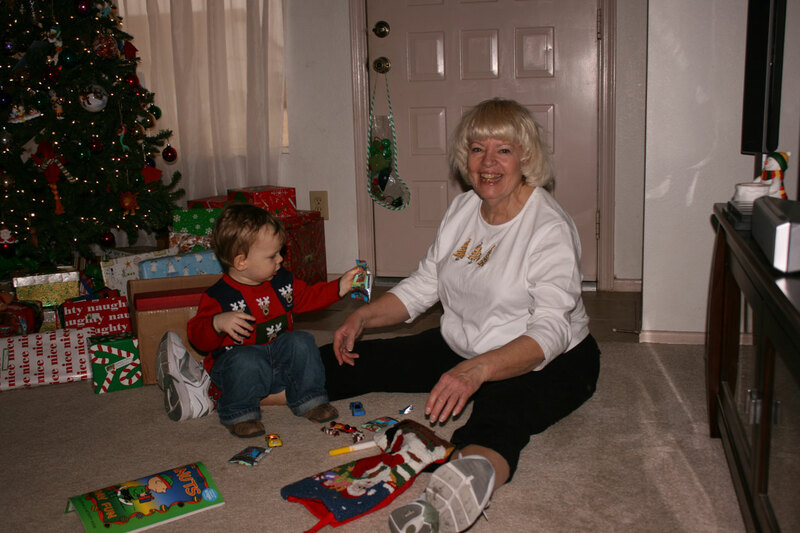 Nana helping Andrew with a Christmas present at Grammie's home. 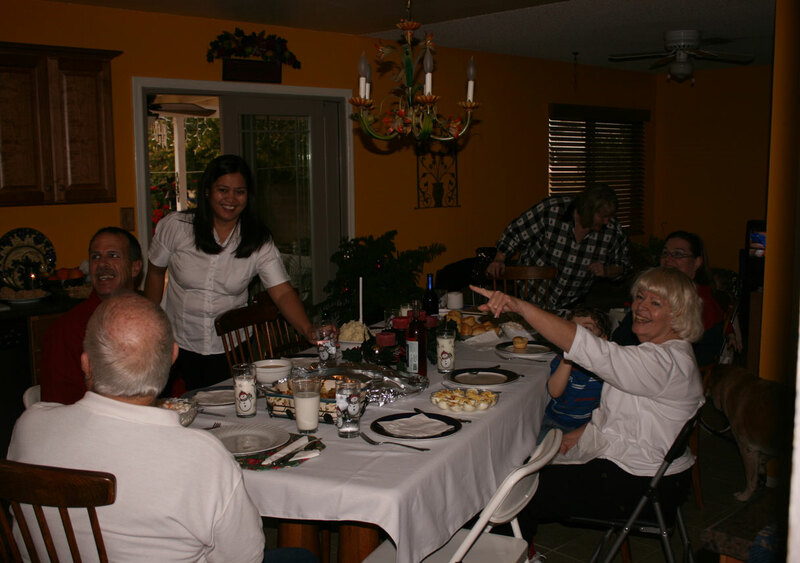 Christmas dinner at Grammie's home on December 25th. 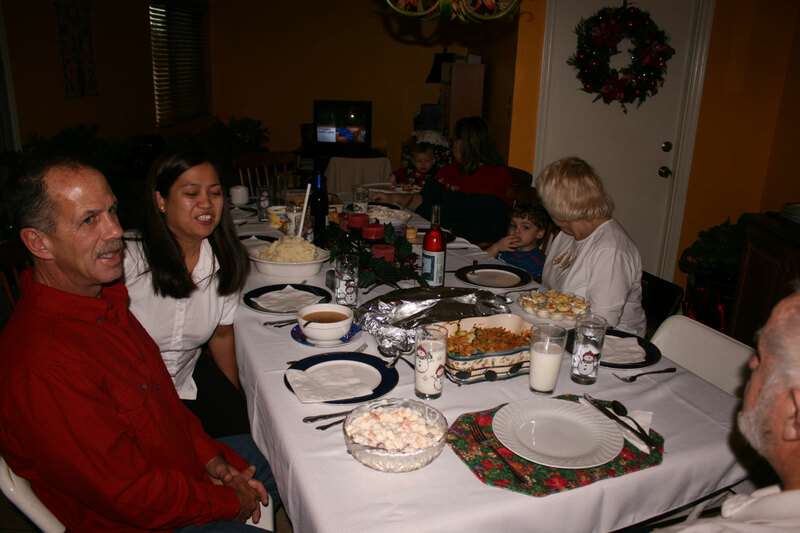 Uncle Kevin, Penny, Andrew, Kelly, Mark, Nana and Papa (with his back to camera, again). 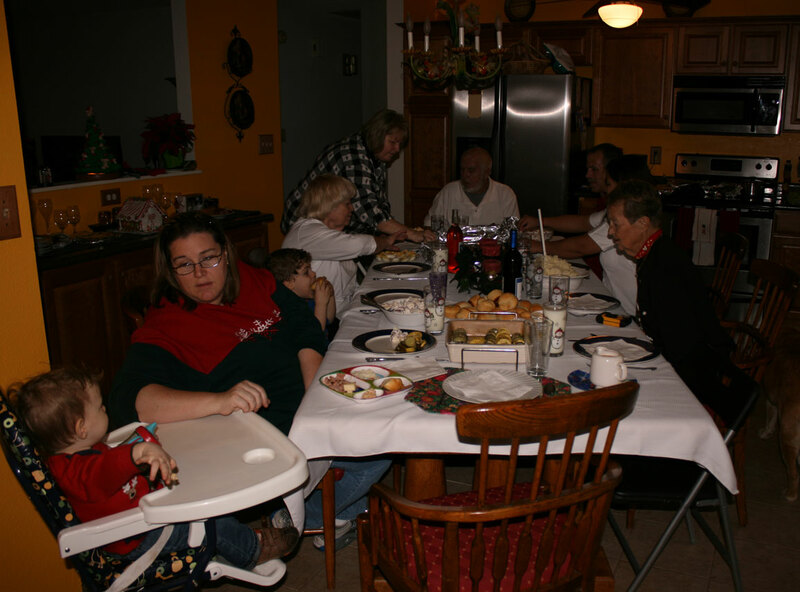 Andrew, Kelly, Mark, Nana, Grammie, Papa, Kevin, Penny, Gram Gram. 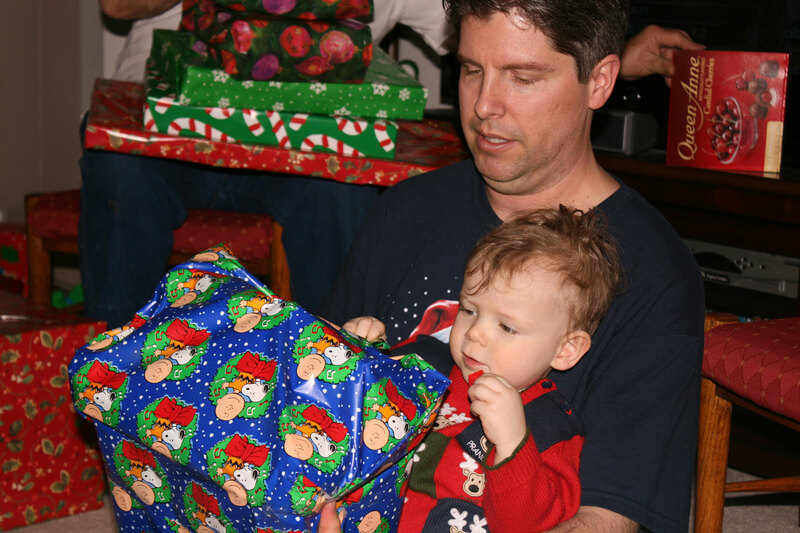 John holding Andrew who is opening a Christmas present. 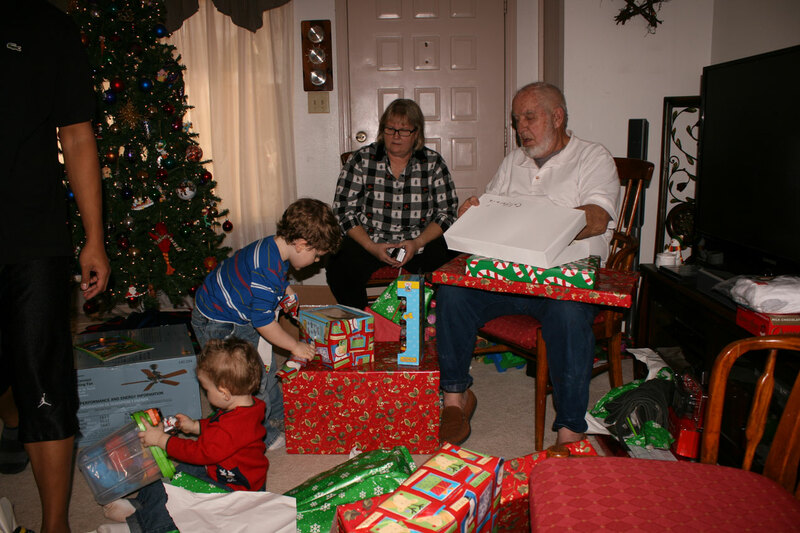 Opening Christmas presents at Grammie's home. 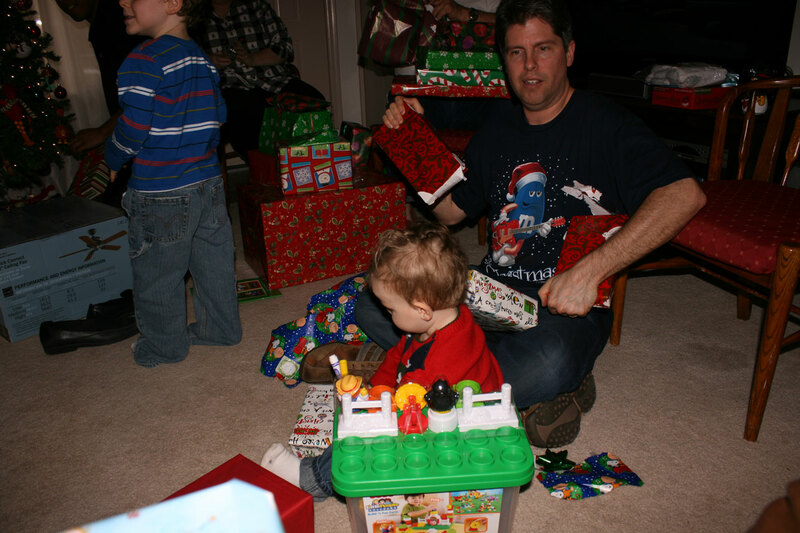 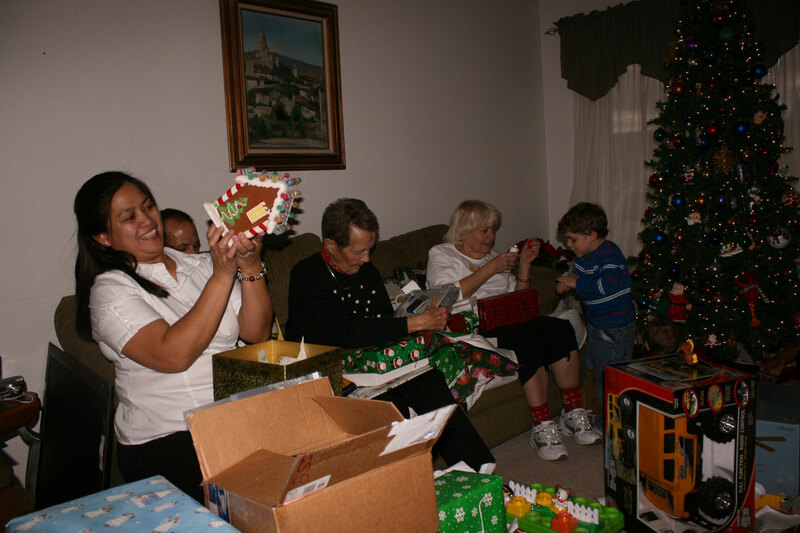 More of Opening Christmas presents at Grammie's home. 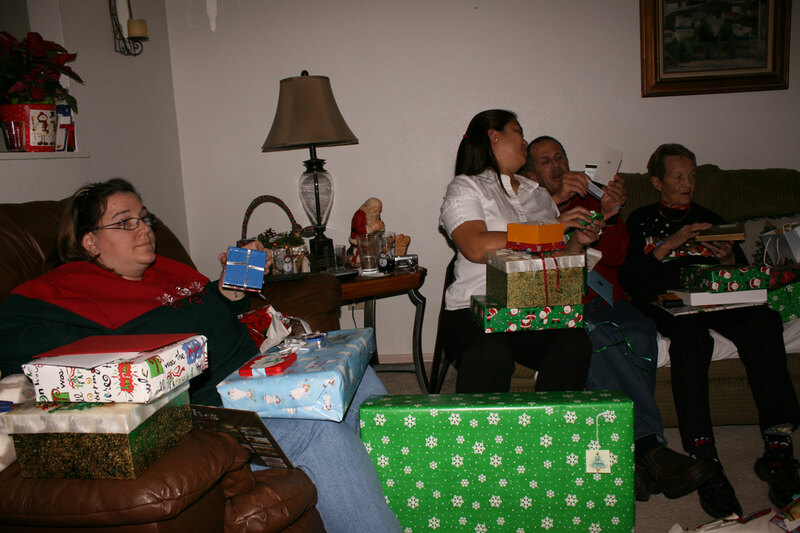 Kelly, Penny, Kevin, and Gram Gram watching the presents being opened. 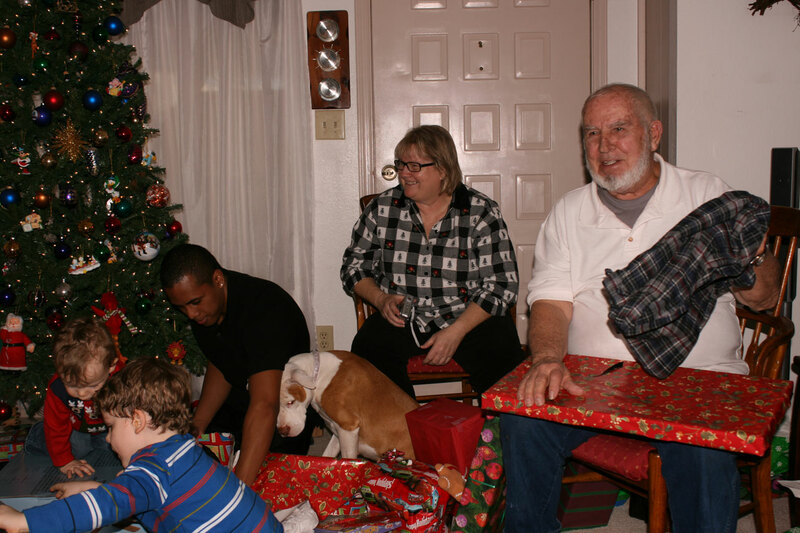 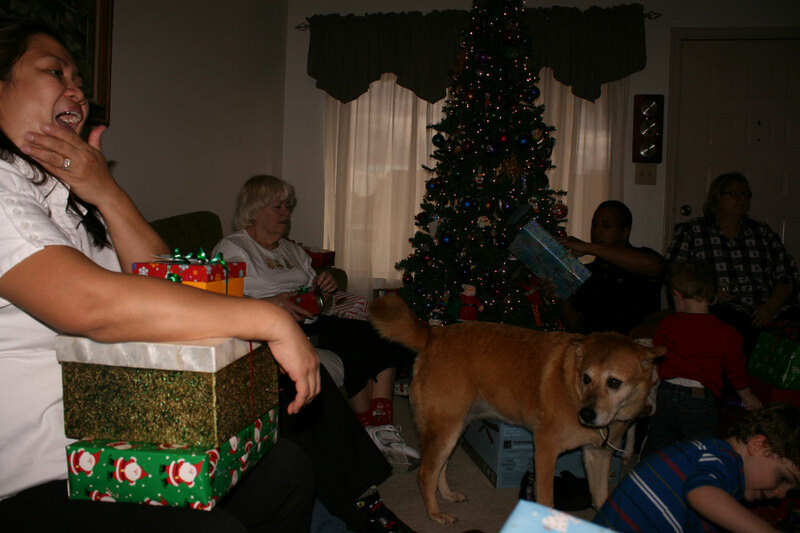 Andrew, Mark, SB, LaLa the dog, Grammie, and Papa opening presents. 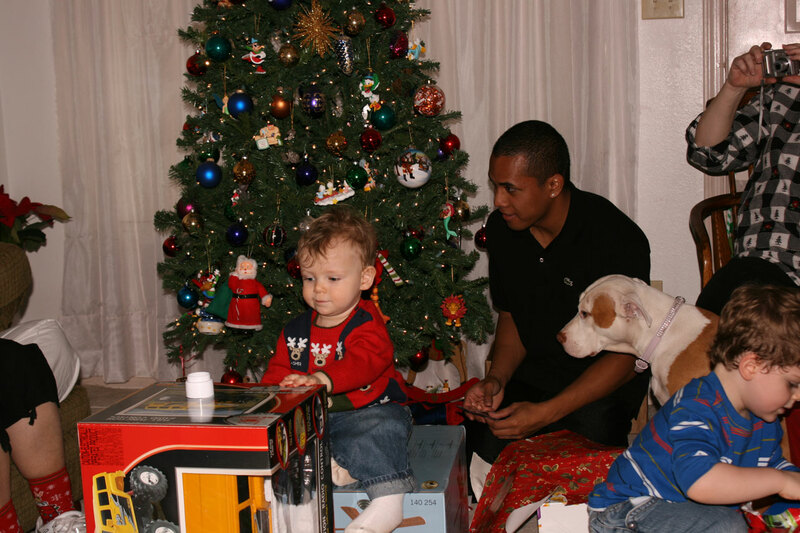 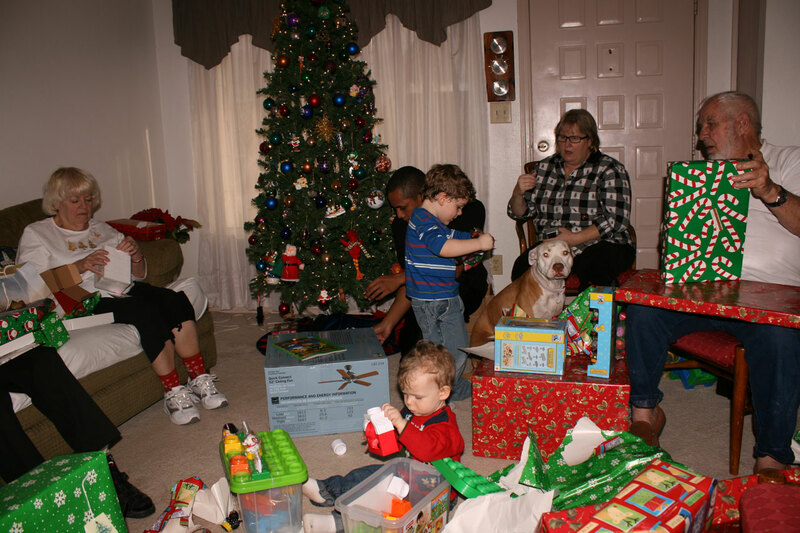 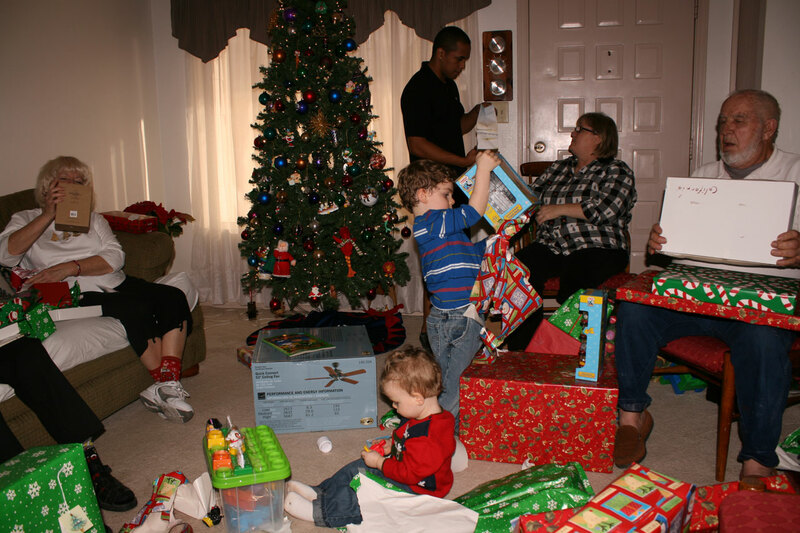 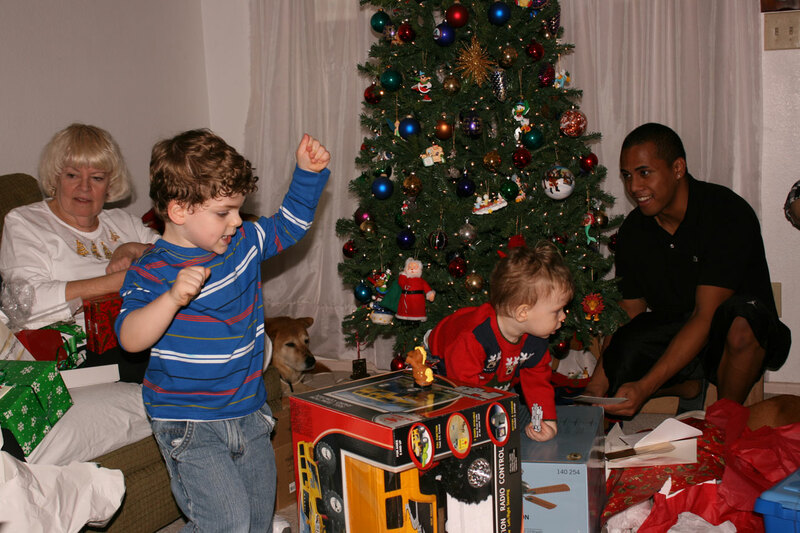 Nana, Mark, Andrew, and SB opening Christmas presents at Grammie's home. 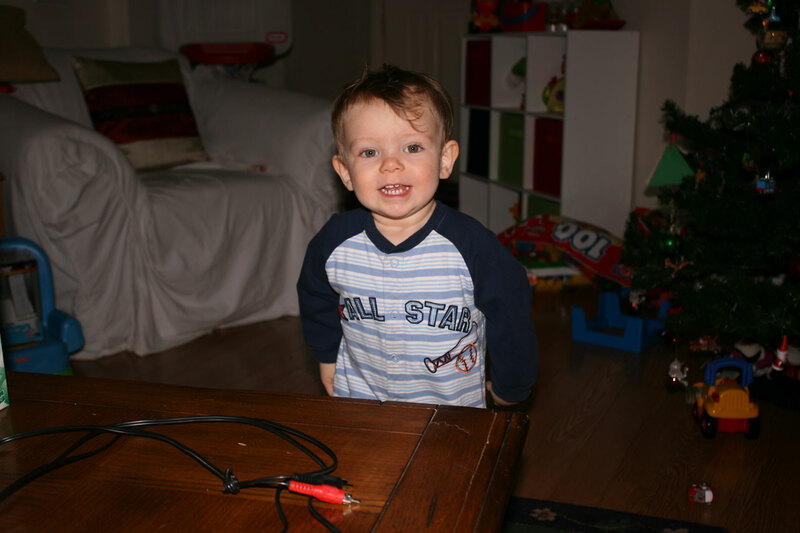 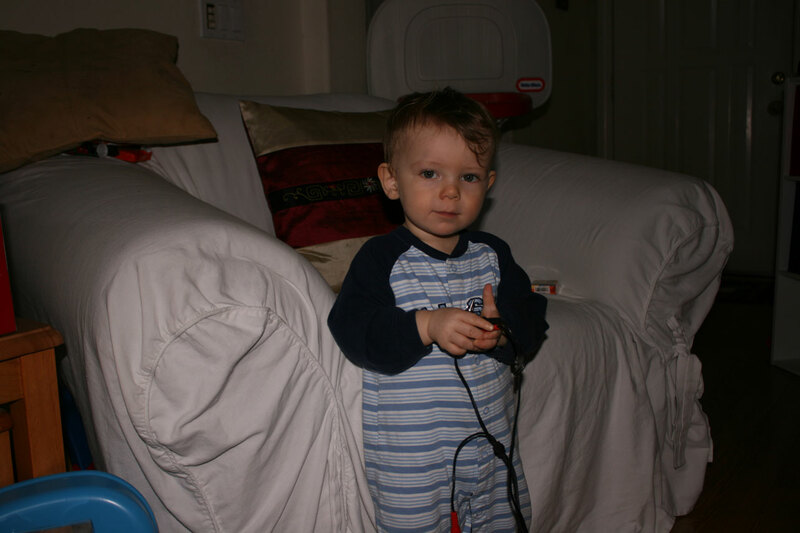 Andrew holding cords at our home on December 26th. 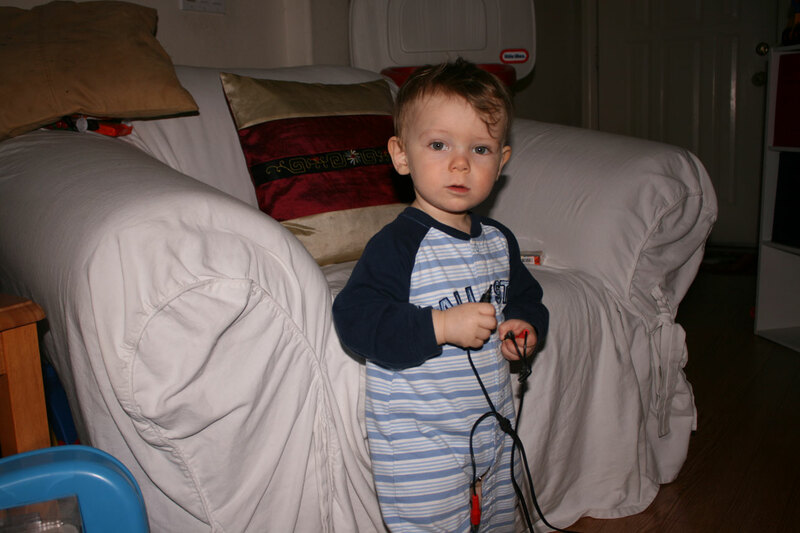 Andrew done playing with cords. 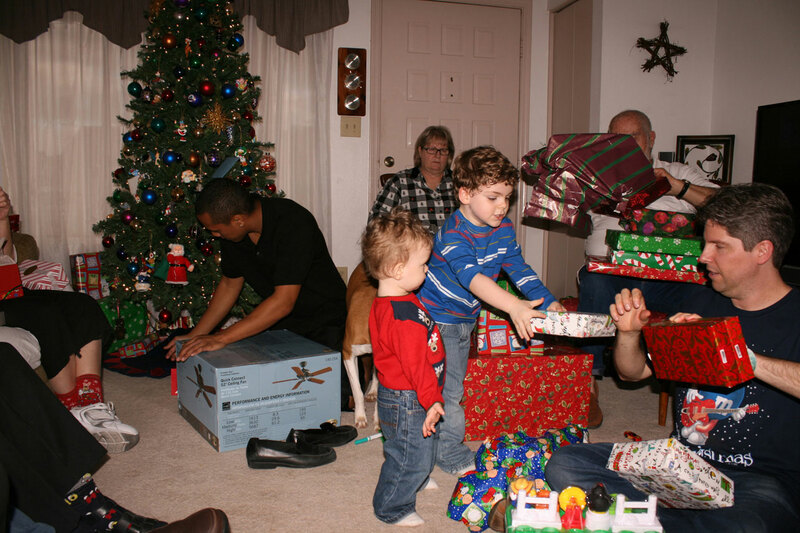 This page was last saved on Sunday, March 8th, 2009.